Lending Club’s chairman and CEO Renaud Laplanche has resigned following an internal review of sales of $22 million in near-prime loans to a single investor, in contravention of the investor’s express instructions. Shares in the US-based company fell by more than 20% today (9 May) as a result of the shock departure. Scott Sanborn will continue in his role as president and will become acting CEO, assuming additional managerial responsibilities for the company. Sanborn will be supported by director Hans Morris, who has assumed the newly created role of executive chairman. Morris says: “While the financial impact of this $22 million in loan sales was minor, a violation of the company’s business practices along with a lack of full disclosure during the review was unacceptable to the board. Lending Club says it conducted a review, under the supervision of a sub-committee of the board of directors and with the assistance of “independent outside counsel and other advisors”, concerning the near-prime loans ($15 million in March and $7 million in April). In early April 2016, Lending Club repurchased these loans at par and subsequently resold them at par to another investor. As a result of the repurchase, as of 31 March 2016, these loans were recorded as secured borrowings on the company’s balance sheet and were also recorded at “fair value”. The financial impact of this reporting is that the company was unable to recognise approximately $150,000 in revenue as of 31 March 2016, related to gains on sales of these loans. Lending Club says it will file an extension request with the Securities and Exchange Commission to file its quarterly report on Form 10-Q for the first quarter on or prior to 16 May 2016. Along with this surprise news, Lending Club has published its financial results. Operating revenue in the first quarter of 2016 was $151.3 million, an increase of 87% year-over-year. Adjusted EBITDA was $25.2 million in the first quarter of 2016, an increase of 137% year-over-year. Sanborn says business was “strong despite the increasingly challenging investor environment”. Loan originations in Q1 2016 were $2.75 billion, compared to $1.64 billion in the same period last year, an increase of 68% year-over-year. GAAP net income was $4.1 million for the first quarter of 2016, compared to net loss of $6.4 million in the same period last year. We take a look at the recent fluctuations in Lending Club’s share price to assess the impact on the peer-to-peer (P2P) industries. Click here to read more. 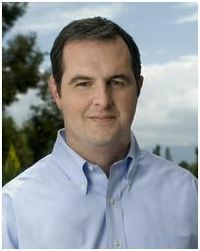 Renaud Laplanche seeks redemption from Lending Club debacle. DBT Foretagslan and Thinktank are BOS-sing it.